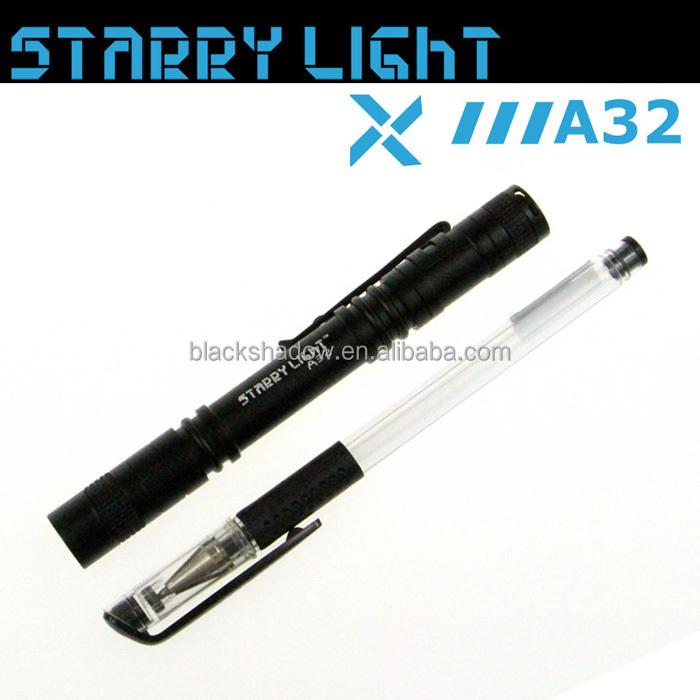 White box with impact resistant inner bubble . 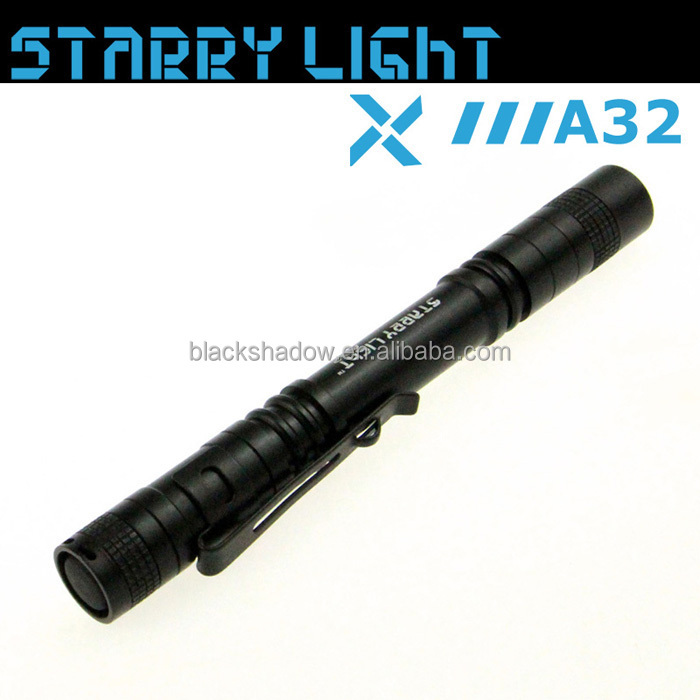 IPX-6, unable to support dive use. 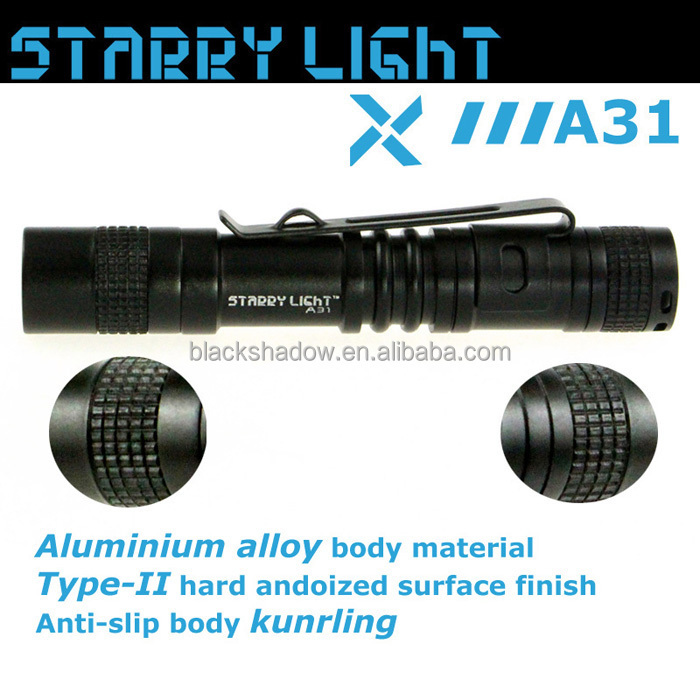 StarryLight A32 is our new mini LED flashlight product released in May 2015. 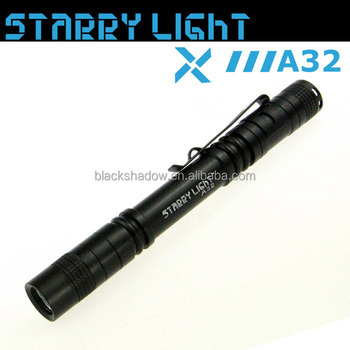 A32 is a high intensity led flashlight in small size and light weight. 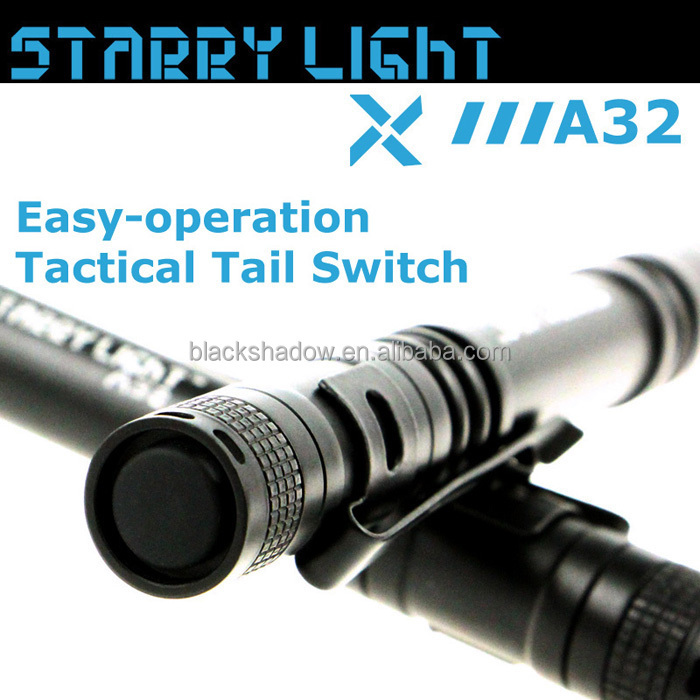 With Easy operated one mode ON/OFF, A32 is very suitable for everyday carry, outdoor use and sending a gift. 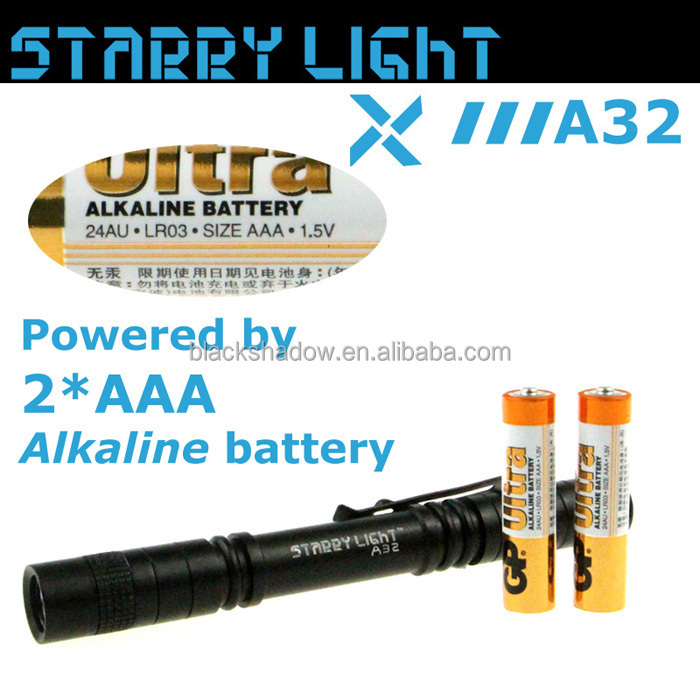 Powered by one easy accessed AAA(#7) alkaline battery, A32 is very convenient for daily use, you won't worry about the energy source problem. 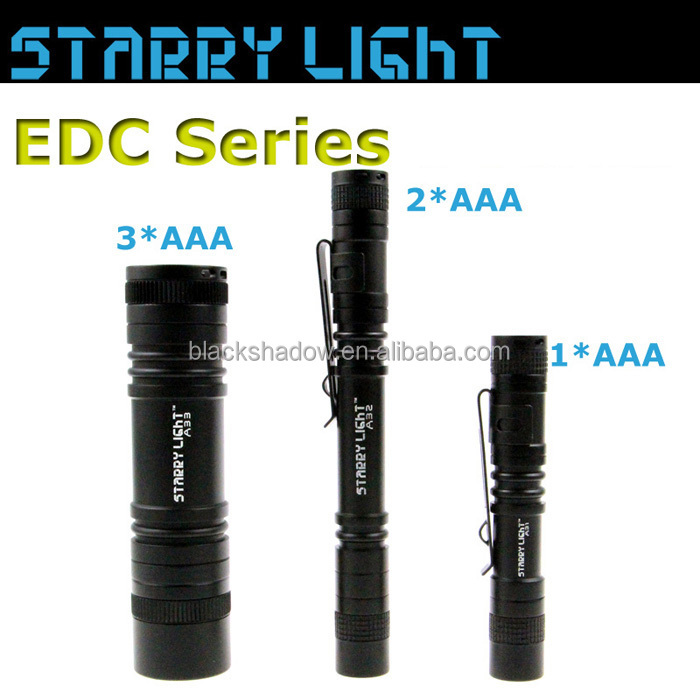 As long as 5 hours runtimes and super light weight(Only 28g) makes A32 a must-have whenever you put it in handbag for emergency lighting, or take it out when mountain and hiking. 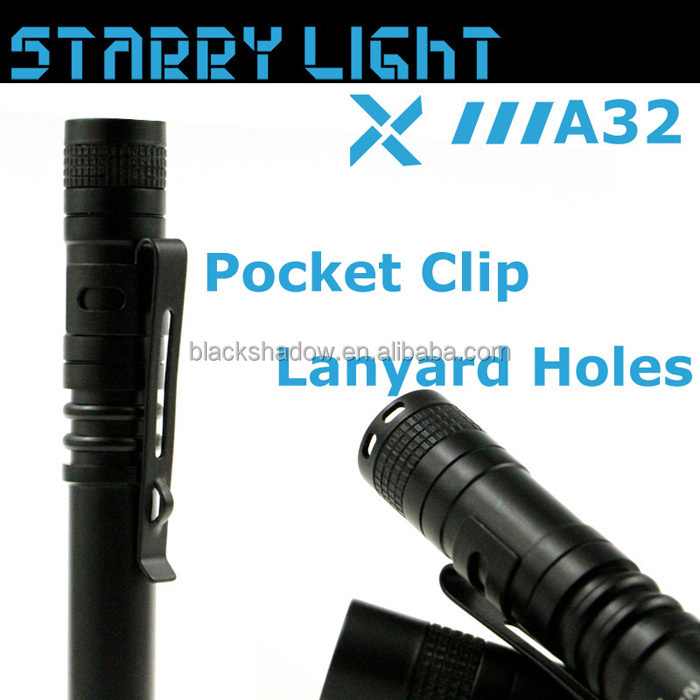 A clip and lanyard hole make A32 easy for carry. 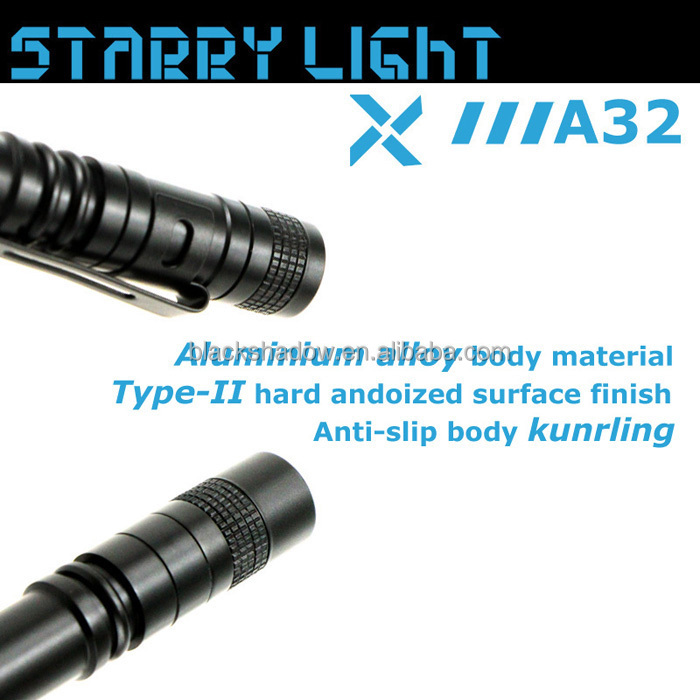 With all of the features like compact design, User friendly interface, and waterproof to IPX-7 standard, A32 is a good flashlight suitable for basic outdoor use, self-defense and every day carry.